Hurricane 360 VR Simulator Ride is the best and unique simulator of its kind. 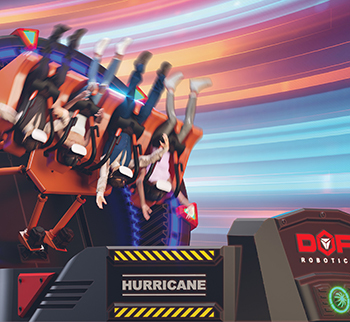 Hurricane 360 VR combines the virtual reality with the dynamic motion to create the most amazing and immersive ride experience. 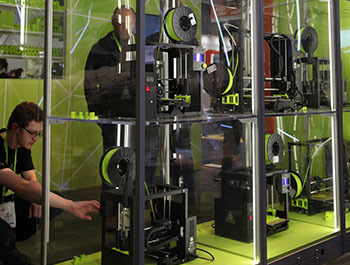 3D printers can be used for building prototypes for the medical, aerospace, engineering and automotive industries, and the more compact units are priced for consumers. Accessibility technology provides the tools to help people of all ages and abilities live healthy, independent lives. Accessible technology can facilitate connections; enhance learning, communication and mobility; and improve the overall quality of life for people with disabilities. 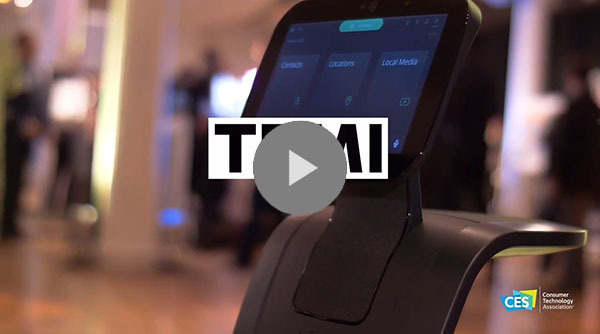 Featured Exhibitor: Temi is a personal robotic assistant that is the ultimate way to consume internet content and services. Artificial intelligence and robotics are changing the way we do business. See the latest developments in artificial intelligence and the next generation of intelligent, autonomous machines. Discover where digital information and the real world collide and experience the future of immersive entertainment. Through specially designed hardware and software full of cameras, sensors, algorithms and more, your perception of reality can be instantaneously altered in context with your environment. Experience the latest in gaming and immersive virtual reality. See the latest in head-mounted displays; haptics; eye, head and motion tracking; 360 video; directional sound; and software. From sleep monitoring and transportation to safety and entertainment, parents are relying on technology solutions to get them through the day. Discover products like Bluetooth-enabled pacifiers and bottles, car seats with built-in sensors for temperature control, strollers with GPS, and new ways to monitor baby’s development. 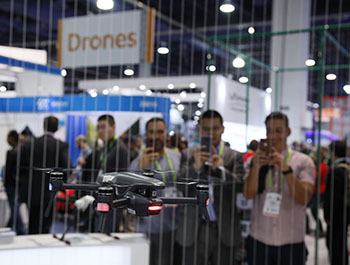 C Space at CES brings together the world's innovators, marketers and creatives all in one venue. Discover disruptive trends and how they are going to change the future of brand marketing and entertainment. 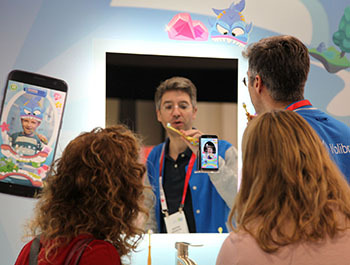 Experience new technologies that change the way consumers behave. 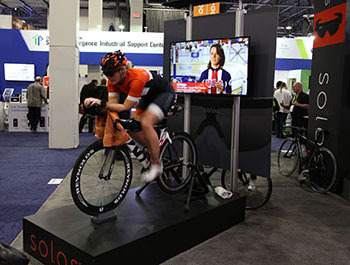 CES provides the perfect arena for sports technology advancements. From smart products that enhance athletic performance to state-of-the-art venues and next-gen sponsorships, witness the championship of tech shows. Whether you are a global brand or startup looking for a prototype, find partners who can enable you to grow and expand your business. Find partners to help you with product design, product sourcing and creating product-to-market strategies. In the Digital Money Marketplace, see how exhibitors are incorporating blockchain into business solutions to ensure greater security, from crypto-currency to the supply chain. Drones have taken off as a unique tool for everyday life, revolutionized the way we capture, monitor and assist our world. Whether flight is controlled by onboard computers or remotely from the ground, drones can provide aerial coverage for sports, travel and real estate; enhance search and rescue, law enforcement and disaster relief; and so much more. Integral for business, enterprise solutions encompass analytics, consulting, integration, cyber security, ecommerce and mobile payment. See how these solutions — from budding startups to today's classic brands — are transforming businesses. 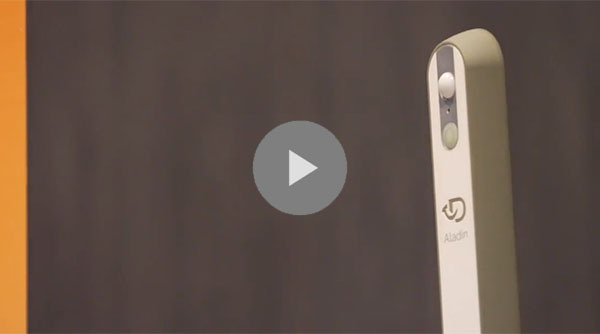 Product Spotlight: Aladin is a smart home product designed to help elderly people live longer at home. Eureka Park provides startups with a unique opportunity to showcase their ingenuity. Uncover more than 1,200 of the world's most promising tech pioneers — and maybe a few unicorns. Parents are using a variety of high-tech products and are the fastest, largest and most vocal group of technology adoptees. See products that make homes and cars smarter and safer, keep families connected, offer improved entertainment solutions, and add more minutes to moms' (and dads') "me" time. Discover the latest developments in digital fitness that aim to make workouts and outdoor activities more fun and more informing. Explore fitness tracking devices, smart fabrics for heart-rate monitoring, and other solutions and products targeted at these specific lifestyle markets. 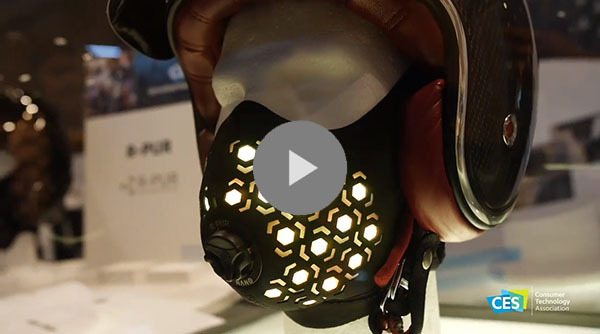 Product Spotlight: R-Pur is an air filtration mask that can filter out nanoparticles. Digital health continues to grow at an astonishing pace, with innovative solutions for diagnosing, monitoring and treating illnesses and advancements in health care delivery and smarter lifestyles. 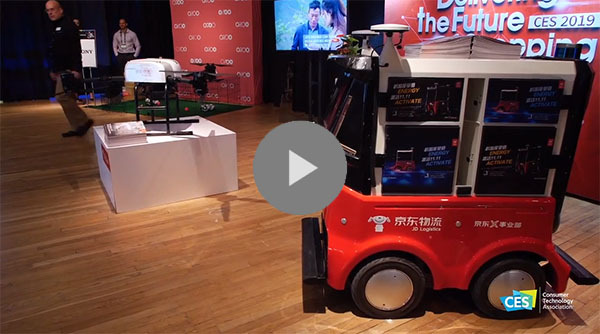 Exhibitor Spotlight: JD.com is going to be showing off the technology that goes into the backend of retail, including drones, robots and automated warehousing. Whether it's online, in store, or a mixed channel experience, retailers are struggling with technology that will let them reach their customers. It's a survival imperative that retailers find technology that will create long-term customer engagement. See how experiential shopping meets high-tech, how big data equals big insights into a shopper's brain, and the lifecycle of "smart" merchandise. From innovative cases, speakers and headphones to wireless charging devices and apps, the iProduct Marketplace featured the latest accessories and technology for your iPhone®, iPad® and Apple Watch. At the Resilience Marketplace, see the technology assisting with preparedness and response. Exhibitors will feature innovation that keeps the world healthy, safe, warm, powered, fed and secure. Explore the road to driverless mobility through ride-and-drive experiences.Test drive a variety of technologies that support the future of self-driving cars, including parking assist, collision avoidance, emergency braking and much more. A good night’s rest involves more than a great mattress — it requires insights about the health of our sleep. From sleep trackers and silent alarms, to bedroom lighting, white noise and even smart beds, advancements in sleep technology are optimizing bedrooms and gaining valuable intelligence on our sleep patterns and needs. Explore the evolution these technologies are making on our slumber. 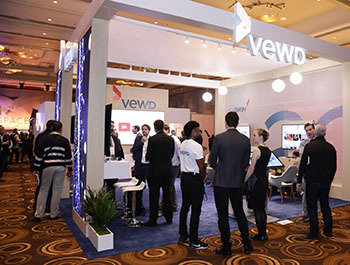 CES Smart Cities represents the entire connected ecosystem that brings together the technologies, solutions, players and audiences in the smart city sector, including IoT, 5G connectivity, transportation and smart automotive, energy and utilities, health and public safety, artificial intelligence, and data analytics. If you're a key decision maker, influencer, buyer or investor in the smart city arena, see how smart cities will influence policies, transportation, cities and towns, our industry and our planet. 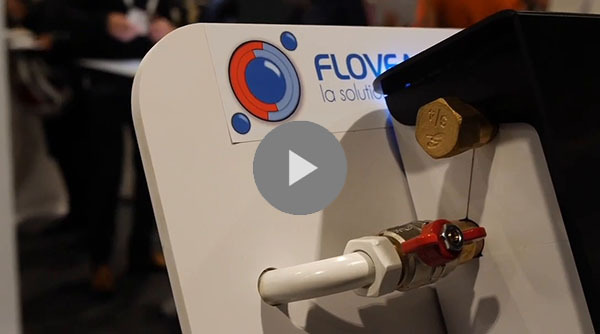 Product Spotlight: Flovea is a smart plumbing system controlled by a phone app. 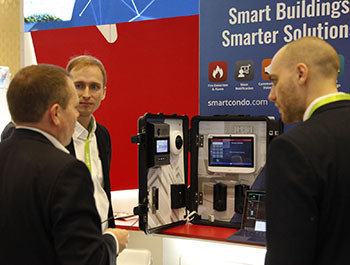 Homes are getting smarter and more efficient, accelerated by smartphones and tablets interacting with the myriad of connected objects and devices. From basic security monitoring to smart appliances, lighting, window coverings, irrigation, entertainment systems and more, see the latest innovations in smart home tech. 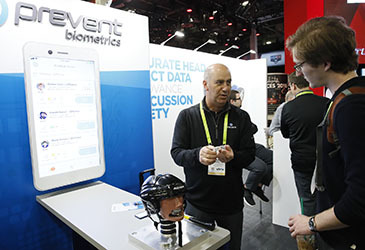 As the global event for technology innovation, CES provides the perfect arena for sports technology advancements. Discover the digital, wearable and simulator technologies that help fitness enthusiasts workout and train like professional athletes. The Wearables Marketplace features everything from high-tech fashion and smart jewelry to wearables that track your mood, activity and even your pets. Collaborations among sensors, low-energy Bluetooth, cloud computing, 3D printing, flexible membranes and more are transforming age-old fashions to be the next global trend. See the Full Exhibitor Directory. Explore the show floor and favorite exhibitors in the exhibitor directory.